Vlad has returned from Turkey to find that his father had been assassinated and his older brother was buried alive, and Vlad Dracula became the warlord of Wallachia for the first time. During this period he was commonly the Prince of Wallachia. In 1448, Vlad Dracula kept the throne for less than a year. He spent six years plotting his way to take the throne back. In 1456 he was successful and regained the throne and ruled for six years. He had some major battles with the Turks in 1462. He ended up having to flee and escape to Transylvania. Vlad Dracula lost the throne at this time. 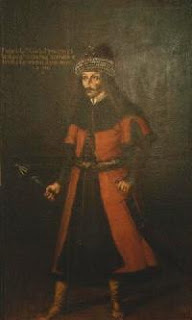 He was captured and held prisoner by a Hungarian king, Matthias Corvinus. Carvinus held Vlad Dracula prisoner until the mid-1470s. In 1476, Vlad was able to regain this throne again. Vlad Dracula’s reign was short, even when all three reigns were added together. Despite this, Vlad Dracula had a large, or rather, diverse reputation across Europe and the Ottoman Empire. People could not make up their minds about him though. Some thought of him as a ruthless, merciless, vindictive monster. On the other hand there were some who thought of Vlad Dracula was a hero who thought of his people above all else. It was the Germans who had the most influence on Vlad Dracula’s reputation. They were writing pamphlets on him and circulating them while his was still alive, earliest dating around 1463. The Germans were more likely to make Vlad Dracula appear like a monster. Within these pamphlets there were also wood carvings of the likeness of Vlad Dracula and occasionally images of the atrocities that Vlad Dracula committed. The Russians were more likely to see Vlad Dracula in a dual role. They mentioned his cruelty, and also mentioned his sense of justice. They talked about how Vlad Dracula wanted to restore order. The Turks were more likely to make Vlad Dracula look like the monster that the Germans were also portraying. 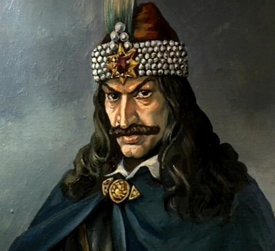 The Romanians mostly portrayed Vlad Dracula as a heroic man. 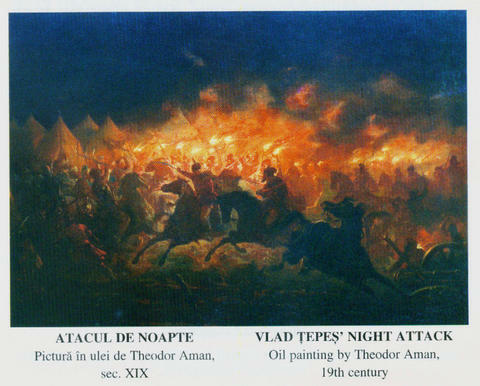 They described Vlad Dracula as a man who bravely defended his people against the Turks who attacked. Something to take into account is that most, if not all, of these primary documents were loaded with bias. They would have been written by either Vlad Dracula’s victims or his people. With that in mind, they were the ones either being protected by Vlad Dracula or were being attacked by Vlad Dracula. Vlad Dracula was known to be attacking the German Saxons of Transylvania, even though they were a neutral state at the time. The Turks were the same, because they would have talked more about how amazing they were. 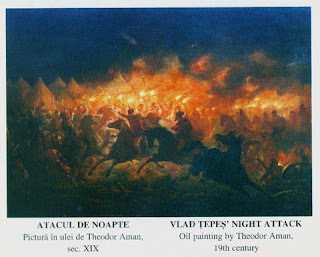 The Turks and Vlad Dracula were always on opposite sides of the battles. Since the Romanians were the ones who were always on the same side of the battle so they always saw Vlad Dracula in a positive light. As with any person in history, there will always be conflict over the opinions of Vlad Dracula.